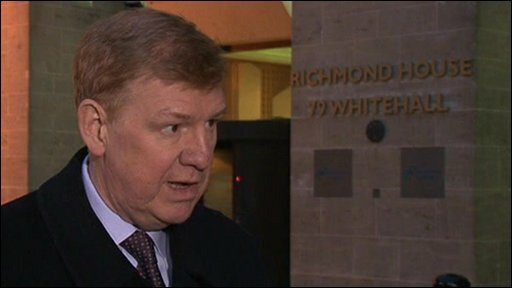 The swine flu pandemic is "considerably less lethal" than feared, chief medical officer Sir Liam Donaldson says. But he said the findings, based on a review of deaths to early November, did not mean the action taken in the UK was unnecessary. He pointed out two-thirds of the deaths were in groups that were now eligible for vaccination. The findings, reported by the British Medical Journal, come as the number of new cases continues to fall. In England there were 11,000 last week - down from 22,000 the previous week. Scotland also saw a fall from 12,300 to 8,900, while numbers in Northern Ireland and Wales have always remained much lower. The UK death toll now stands at 283. Sir Liam described the low death rate as "fortunate". "The first influenza pandemic of the 21st century is considerably less lethal than was feared in advance." Sir Liam also urged people to come forward for immunisation. A number of priority groups have been identified, including people with health problems and pregnant women, for the first wave of the programme. But only 2.3 million of the 9 million people eligible for vaccination in England have come forward so far. Sir Liam said the likely reason more were not being vaccinated was a legacy of the "junk science thrown at MMR" as well as the fact that people do not fear the virus. However, the government had better news over the vaccination of young children - the under fives are the next in line to get the jab. The programme looked to be in disarray earlier this week when ministers failed to agree a deal with the British Medical Association, the doctors' trade union, to get GPs to give the immunisations as they have been doing in the first wave. They said it was likely health visitors and district nurses would have to take over. But Ian Dalton, who heads up the government's flu planning, said many GPs were signing up on an area-by-area basis. He said agreements were in place for doctors in the North East and London to deliver the programme and he expected many more would be signed in the near future. "I don't think for most GPs this is about money, it is about protecting children."